Top 10 Mistakes Renters Make And How You Can Avoid Them! Home / Help & Advice / Managing your home / Top 10 Mistakes Renters Make And How You Can Avoid Them! Asktenants.co.uk is a rental property rating website which allows tenants to rate their rental experience. Based on tenants’ experiences we have put together this blog detailing the biggest mistakes made by tenants in the UK and how you could avoid making the same. There are about 9 million tenants in UK. London will become a city of renters, with just 40% owning their own home in 2025, according to new research from PwC. This is a reversal of the situation in 2000, when 60% of Londoners owned a house, either outright or with a mortgage. With increased demand for rented properties competition is fierce with 10 tenants chasing 1 property in places like London. Competition for rented properties can trap renters into the scarcity mode, ‘If you don’t act now, you’ll never find another place this good at this price,’ goes the thinking and tenants usually surrender prematurely and end up making a bad rental decision. We have listed Top 10 mistakes tenants make and hope we learn from these mistakes. Almost everyone has a mobile phone with camera these days and should use it to document the state of the property at move-in time. You’ll also want to note pre-existing damage on the landlord’s inventory checklist. If the landlord doesn’t have one, make your own list and send it to the landlord, signed and dated. And before signing the tenancy, get in writing any major repairs the landlord has promised to make. 35% of tenants who have rated their rental property on Asktenants.co.uk had encountered deposit refund issues, a large proportion have said that root cause of deductions was related to their inability to prove that damage existed when they moved in. 10% of tenants who rated properties on Asktenants.co.uk have said they feel unsafe in the property and the area. Knock on the doors of a few neighbors and check neighborhood safety. You also can check into crime patterns on Asktenants.co.uk Free “Crime in the Area” applcation which shows crime during last 6 months by crime type and street name or https://www.police.uk/. Visit the property at night: That quiet street corner could look quite different after dark. A landlord’s insurance policy doesn’t cover the tenant’s personal property. So if there’s a flood, fire, burglary or water-line backup and your valuables are damaged, you’re usually responsible for the costs unless the landlord was aware that a dangerous condition existed and failed to correct it. So after you sign the tenancy, make getting contents insurance the first item on your list. Policies are relatively inexpensive: Premiums usually range from £200 to £300 per year. Many tenants consider tenancy agreement as standard and never bother reading it. We strongly advise, to take 20 minutes of your time reading it. Key terms such as ‘notice period’, ‘rental amount’, ‘break clause’, ‘rules on ending your tenancy, ‘who pays for repairs/utilities’, ‘rent increase clauses’, ‘type of end of tenancy cleaning’ are must reads. Check if your deposit is protected along with the name of deposit protection scheme and reference numbers if any. Take pictures of key sections if you have a smartphone so you can refer to them even when the paper agreement is misplaced. With 1 in 4 families moving house to secure a school place, you need the best information about your child’s chances to get into your preferred school. Schools catchment areas change from year to year. Many parents move in the vicinity of the schools only to realize that they have missed the admission by few meters. Don’t trust the estate agent’s words on school catchment. Call the school or admission team of your local council for advice about latest catchment area. co.uk schools application provides – updated catchment area, Ofsted reports, ratings and results, parents opinions about the schools, free school meals percentage, English not as 1st Language percentage and school’s national ranking. Feel free to use it – it’s Free! Many tenants split up visits to prospective properties with their partner or significant other. But in group or couple situations, it’s a waste of time not to have all parties at the first appointment. In a fast moving rental market, by the time you get the second person to look at the property, it’s already gone. 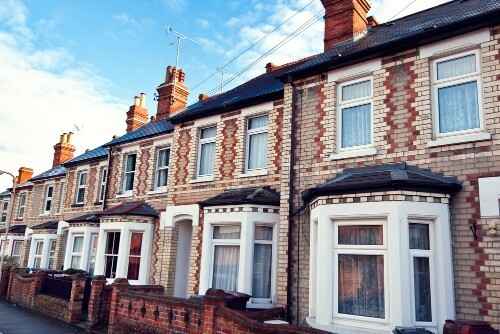 English Housing Survey shows that 35% of properties in the private rented sector are rated “non-decent”: nearly a fifth were judged to contain a hazard posing a serious danger to the health and safety of renters. Few minutes during your viewing is only time you get to find out if the property you may rent will not have problems. Lot of tenants are simply not prepared on viewing day and miss very basic checks. While you cannot find out every defect on a viewing, a planned viewing can uncover a lot. Asktenants.co.uk blog is a comprehensive blog you must read before your viewing. A great layout can make a property with less square footage feel bigger than one with more. An 850 sq. ft. property with a long hallway which has no use can feel smaller compared to 700 sq. property with inbuilt wardrobes, open layout and clever furnishing. Tenants miss opportunities because they are merely looking at sq. feet on the listing. It is also easy to get carried away by looks of the property and not consider if there is enough storage in the property. Always consider how much stuff you have and whether there is enough storage to keep your clothes, bikes, books, toys and other stuff. Many tenants have found fellow tenants living in the same apartment block at a cheaper rent. Renting directly from the landlord is more likely to be cheaper as the landlord does not have to pay agency fees. Proving to a landlord that you will care for the property better than an average tenant may get you get a better deal. While renting from the agents your willingness to close the deal early and mentioning that references will be great will help get you get some discounts and agents are usually more interested in renting fast as it unlocks their commission. Asktenants.co.uk shows monthly rental for all rated properties. Knowing the existing rent would help you negotiate better. There are stories of tenants renting in a particular area only to realize later that they do not fit well in the community socially or culturally. Asktenants.co.uk shows ethnic/social mix and housing type (owned, rented, council & social) of your local area. Websites like Streetlife.com tell a lot about local community and how they interact. You live as much in the area as in the property so researching the area will help you take right decision. Hope you found the blog useful, if you rent or ever rented please do rate your current/former rental property on Asktenants.co.uk. It takes 2 minutes to rate. Your rating not only helps fellow tenants but also helps us understand and research into the problems tenants face. If you rate with promo code AMAZON5 you get FREE £5 Amazon e-gift card per property rated (we have got 200 gift cards to give away).